I can’t even begin to tell you the number of people I encounter who shy away from traveling because they think it is expensive. I am here to tell you that traveling does not have to be expensive. I am going to fill you in on the best tips for how to travel cheap along with how we save money while seeing the world. Before you think that traveling is too expensive and you can’t afford it. You must realize that the people who travel frequently do so because they make it a priority. They realize that by prioritizing their money for travel they are creating life experiences that can never be matched. If you are one of those people who think you can’t travel because of lack of money consider the things that you could live without to allow you to afford your dream vacation. If you knew that downgrading some of your current expenses such as your cell phone plan or cable package could save you lots of money would you do it? The way we are able to travel so frequently is because we are always on the lookout for great travel rewards cards. Not sure what a travel reward card is? It’s simply a credit card that allows you to rack up airline miles for every dollar you spend. Yes, many of these cards come with minimal annual fees however we have found that the benefits far outweigh the fee for us. A couple of our favorite cards right now are Venture Capital, Chase Sapphire, and Citi Bank. You may be wondering how we are able to rack up so many points to travel so often. Well, we literally put every single purchase we make on our credit card. However, here’s the caveat, if you decide you want to get a rewards card you MUST be super diligent about paying your card off in full on a regular basis. Lucky for us We have excellent credit so we qualify for some of the best rewards programs. We routinely choose credit cards that offer signup bonuses. Sign-up bonus gives you a certain number of points or air miles if you spend a certain amount on the card in a designated amount of time. If you have trouble with paying your credit cards I don’t recommend doing this. But if you are responsible and looking for one of the best ways to travel cheap this is where it’s at. My number one pointer for finding cheap flights is to be flexible with your travel dates and time. When looking for flights look a couple days before and after your target date to see if you can find a better deal. Have I mentioned how cheap we can be? Yep, when it comes to travel we can be cheap! We have been known to stay the night at the airport for a long layover that saved us hundreds of dollars. I know! Some people definitely aren’t into this and I totally understand. But that’s how much travel means to us. If we can save some money allowing us to take another trip you better believe we will crash at the airport during a layover. We recently found this amazing site for booking flights, Airwander, that allows you to do layovers in various cities for multiple days or even weeks. How amazing is that? You get to see two places for the price of one. We just purchased a trip to Ireland through Airwander and it saved us $100 for a 10 day layover in Bangkok. Skyscanner is another great site and I especially like their mobile app. We’ve written an in-depth article on travel planning that covers even more flight booking tips and tricks. I love love love traveling to countries that don’t cost your life savings to visit. When traveling to less expensive destinations you don’t have to be bothered with a strict budget and you don’t stress out if your friends want to hit up the town. Also, if you are craving a $1 or $2 adult beverage in the middle of the afternoon it’s completely doable. Some people think that traveling to cheaper areas isn’t as “good” because these areas aren’t as well known or mainstream. I will tell you something. Some of the cheapest places I’ve traveled to have been the most beautiful. I’ve seen some of the best beaches, sceneries, and the most incredible mountain tops in some of the cheapest countries. Did you know that it is actually really easy to travel on a budget if you know where to travel cheaply? For some people, this is hard to believe but once you are on a plane headed to a cheaper part of the globe you will find everything you need at a fraction of the cost. A couple of our favorite areas that provide amazing accommodations at affordable prices are SE Asia, Central America, South America, Mexico, and even some places in North Eastern Europe. Indonesia is one of the most affordable places to travel. It has amazing white sand beaches, world class surf, scuba, and even jungles It offers incredible value for accommodation, food, and transportation. You can get a beautiful guest house with a pool for as little as $20 per night. Nepal is packed with everything imaginable. It is home to Mt Everest and a couple of other very awe-inspiring mountains ranges. It has lakes, treks, and other adventure sports. The food in Nepal was fabulous it is a cuisine of Indian, Thai, and Tibetan dishes laced with a Nepalese flair. You can get accommodations for less than $20 per night and a meal for as little as $2-3. Finding affordable accommodations can be tricky at times but if you put in a bit of effort you will be able to find something that is just right for your budget. My first suggestion for finding a decent priced place to stay is to travel during the shoulder seasons. By traveling during less popular times you will find that many hotels have cheaper rates than during the peak seasons. Think about the location. Are you able to stay a bit further out of the city center to save a couple dollars? The benefit of staying out a little further is that you are able to see more of the area and experience more of the culture. Verify with a map that you are within walking distance to the popular attractions. 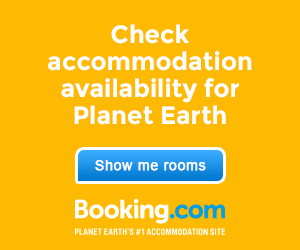 Our favorite places to use for booking accommodations are TripAdvisor, Expedia, Hotels.com, and Booking.com. Compare prices, reviews, and proximity. Also, we have found that if you are able to avoid the weekends you can save money by traveling during midweek. Experience life like the locals do. By traveling slow and riding buses and taking other modes of transportation you can save yourself tons of money. I like to think of traveling slowly as quality over quantity. Some of the best experiences and definitely most memorable have been while traveling slow. I completely understand if you are short on time and are struggling to see what you want because you only have 2 weeks. In this case, by all means, do what you need to do to see the country. However, if you are trying to save money then taking it slow is where it’s at. From personal experience If we had taken a plane on some of our travels rather than the bus, I wouldn’t have experienced the authenticity of the country. I wouldn’t have connected with the locals as I did. I wouldn’t have had the opportunity to share a taxi ride with someone who took the time to explain what the holiday weekend meant to them. Also, the sounds and cultural music while riding buses is something unforgettable. For me, the crazy horn on the buses and music of Nepal is forever ingrained into my memory. Traveling light not only saves you some money but it can also save you a lot of stress. I always get a kick out of watching people travel around with huge wheeled suitcases that topple over on every curb. By traveling light you can dodge the fees for luggage and it also allows you to keep your stuff with you. You also don’t have to worry about a missed flight or layover where you aren’t able to access your belongings because you have everything you need with you. Do you want to know the absolute best part? You don’t have to wait at baggage claim, you can hit the ground running. Check out how to pack light for our tips on months of travel without checking a single bag. Avoid restaurants with signs that say “We speak English” or that advertise multilingual menus. These are tourist traps that are more expensive and often don’t serve as good of food. Ditch the traveler’s checks and use ATMs. You will get much better rates and you can get your cash cheaper and faster. ATM’s do come with transaction fees you can minimize these fees by making fewer and larger withdrawals. Of course, stash that money somewhere safe! While we love to sample the restaurants don’t forget that hitting up the grocery store or market is a great way to cover lunch or mid-day snack. I know it may seem like a ridiculous added expense, but you really don’t know what can happen while traveling. You could break an arm while motorbiking, need stitches from a surfing mishap, or even lose something like your camera. Travel insurance protects you from all of the accidents that can happen. It can protect you while traveling in your own country or even while traveling overseas. Travel insurance is a smart thing to get so your cheap trip doesn’t end up costing you thousands in medical bills. We always travel with insurance and enjoy the piece of mind it gives us. World Nomads (our favorite) and Roam Right are two of the most popular options. How to pack light and ditch the check-on bag? Packing light is easier than you think and makes travel more enjoyable.